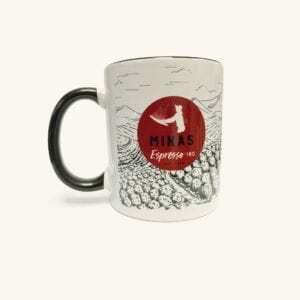 All of the great taste of Minas Espresso coffee with none of the caffeine! Minas Decaf is ground up and ready to be brewed courtesy of our coffee specialists. Enjoy a smooth-bodied blend featuring notes of chocolate and citrus topped with a delicate lemon finish. Our decaffeinated coffee makes the perfect choice for an evening with dessert or on its own without risking the loss of a good night’s sleep! It’s so good, it actually tastes like our medium roast coffee. Don’t believe us? Try it out for yourself! Made with 100% select Arabica coffee beans cultivated in Minas Gerais and roasted and ground in the USA.